How about enjoying your favorite tropical fruit this summer? 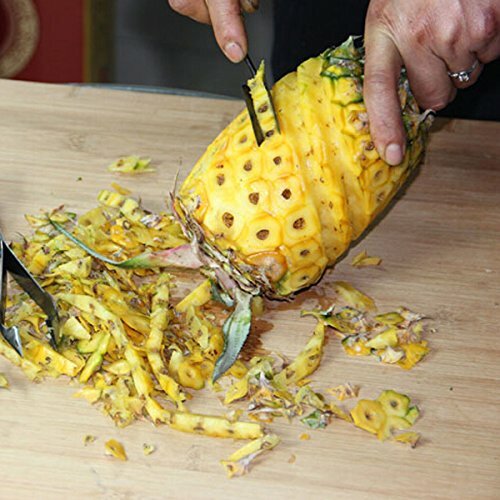 But wait, do you avoid buying pineapple just because of its leafy and spiky exterior? What if we say now you can enjoy your favorite tropical fruit without all those hassles? 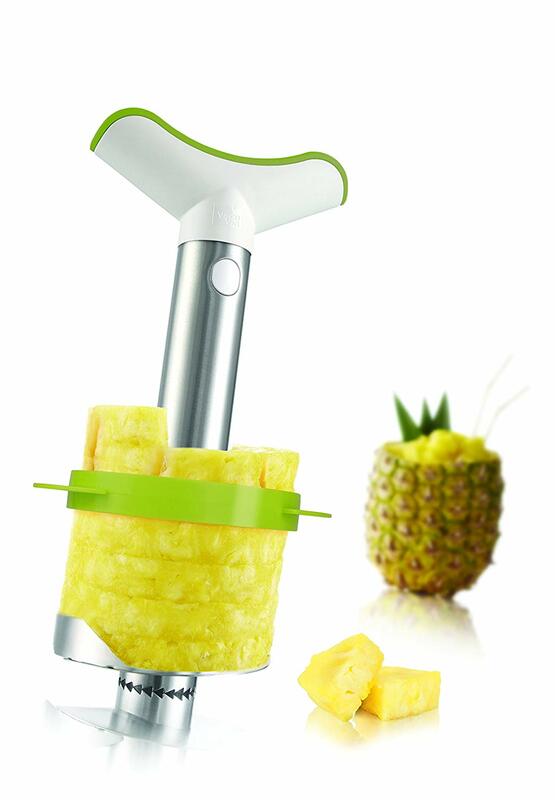 We have these best pineapple tools that peel, core, slice and dice a prickly pineapple into juicy pieces in seconds. What more you can even use its outer intact cover for serving desserts, fruit salads, and more. 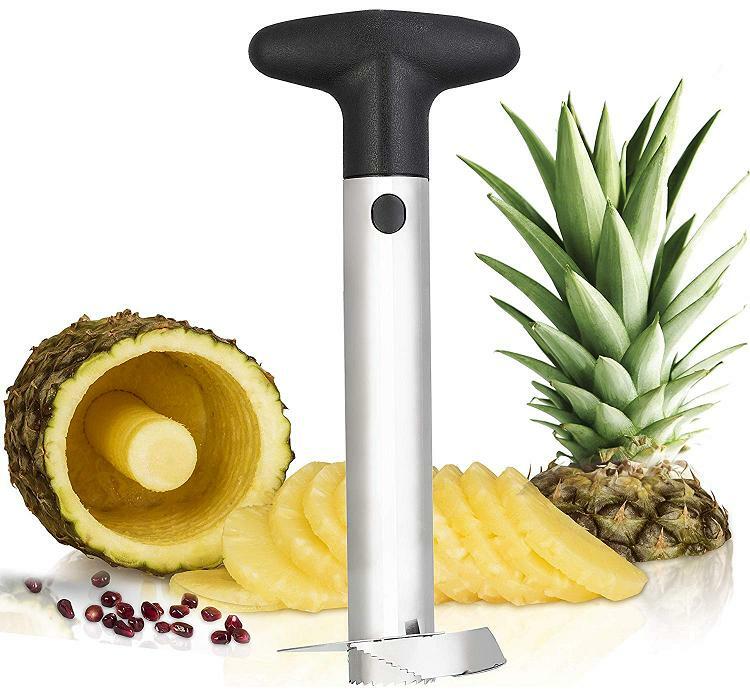 Stainless Steel Pineapple Fruit Slicer: The Adorox Stainless Steel Pineapple Fruit Slicer is made of stainless steel and features a plastic handle. 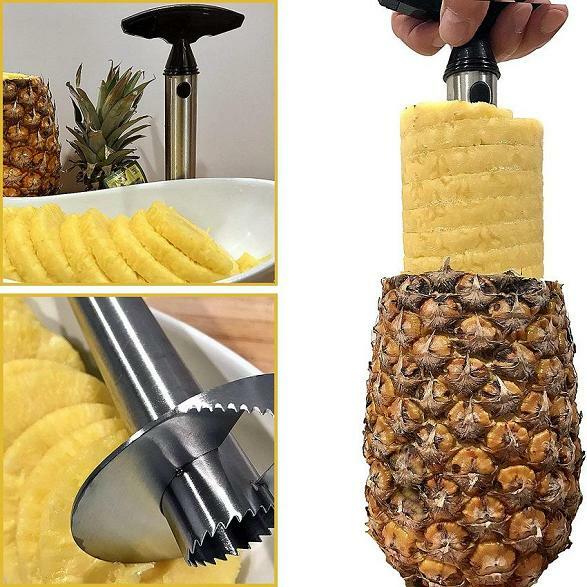 It works twice as fast as ordinary peelers, makes perfectly shaped pineapple rings, and the best part is it retains the juice in the pineapple and is easy to clean. Oxo Good Grips Stainless Steel Ratcheting Pineapple Slicer: The Oxo Good Grips Stainless Steel Ratcheting Pineapple Slicer lets you quickly and easily core and slice fresh pineapples. It features a ratcheting turning knob for continuous rotation while its measurement markings on the slicer lets you determine how much you can go in before you reach the bottom of the fruit. Its knob and shaft separate with the press of a button for easy cleaning. 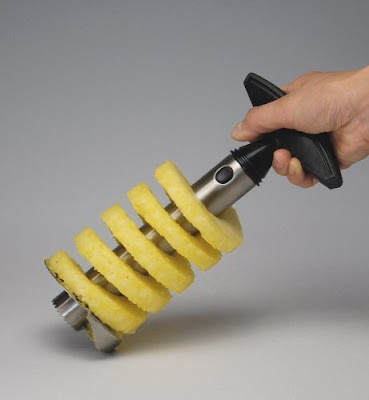 Tomorrow's Kitchen Pineapple Slicer: The Tomorrow's Kitchen Stainless Steel Pineapple Corer, Slicer and Wedger lets you easily core and slice fresh pineapples in seconds. Statko Silver Stainless Steel Pineapple Tool: The Spiral 3 in 1 Pineapple corer, slicer and peeler works like a corkscrew, peels, cores, and slices an entire pineapple in seconds. 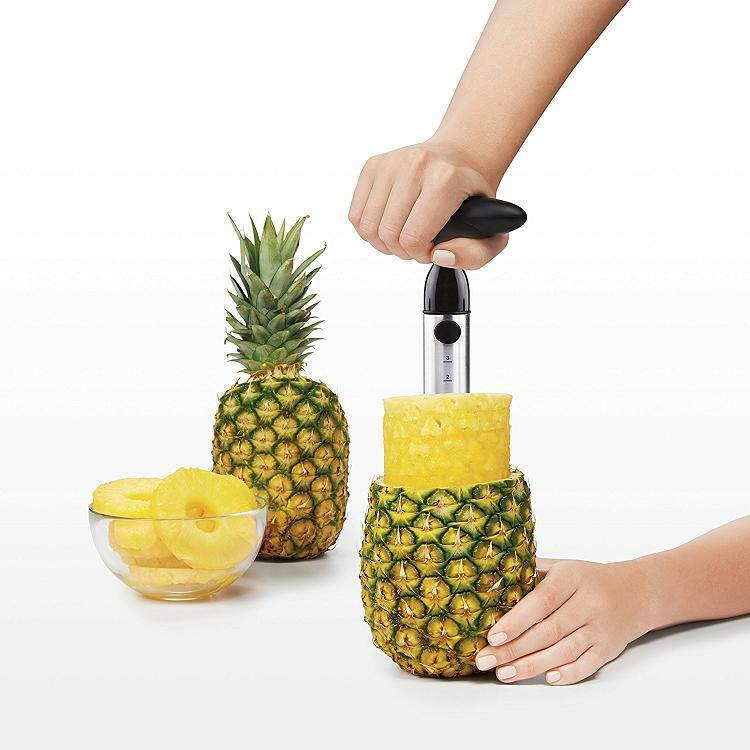 ChefLand Stainless Steel Pineapple Easy Slicer and Decorer: The ChefLand Slicer peels, cores and slices; lets you create one slice or cutup the whole fruit at one go while retaining the juice. 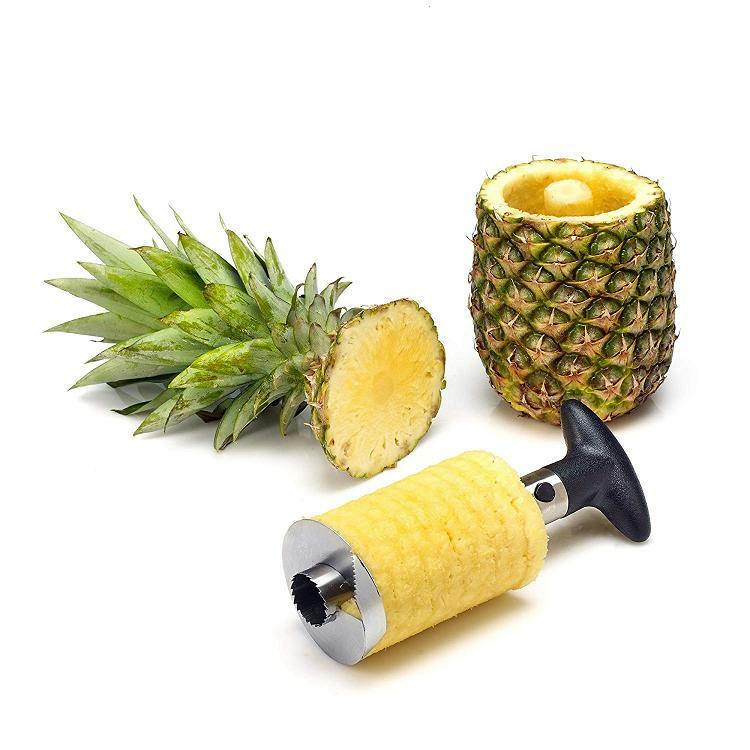 Rienar Easy Tool Stainless Steel Fruit Pineapple Corer Slicer Peeler: The Rienar Easy Tool Stainless Steel Fruit Pineapple Corer Slicer Peeler gives you perfect shaped pineapple rings while retaining the juice in the pineapple in seconds. 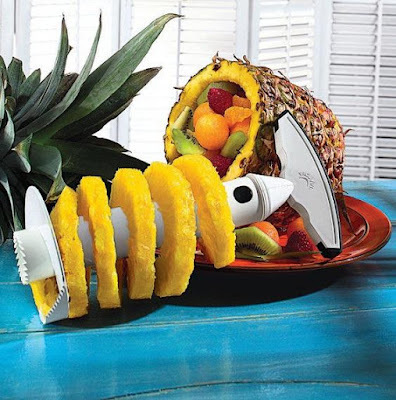 Stainless-Steel Pineapple Slicer and Dicer: The Stainless-Steel Pineapple Slicer and Dicer peels, cores, slices and dices a pineapple with two simple steps. It's your choice to retain the fruit as a whole or dice it. 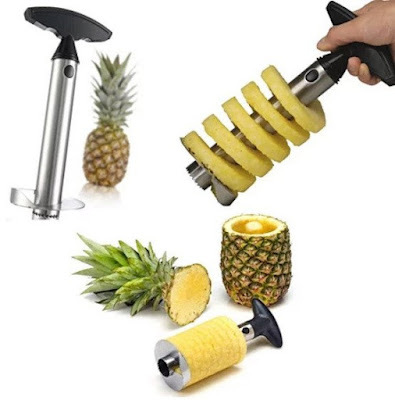 Stainless Steel Pineapple Peeler: The Stainless Steel Pineapple Peeler is just the tool you need to slice your pineapple, and remove pineapple eyes with ease. Stainless Steel Pineapple Eye Peeler Remover: This V Shape Stainless Steel Pineapple Eye Peeler Remover is a perfect tool to remove pineapple eyes quickly. 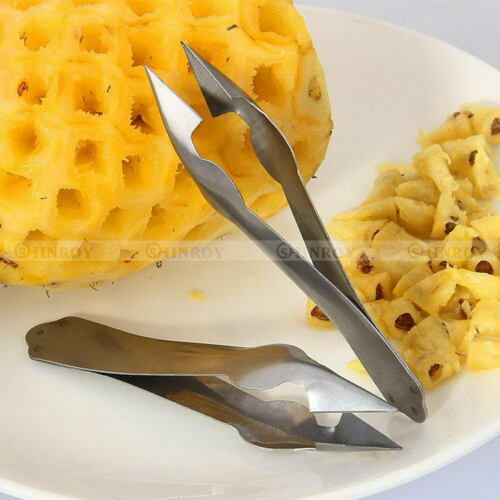 Pineapple Eye Peeler: The Kitchen Stainless Steel Pineapple Eye Peeler features a practical clip design that makes it convenient to remove pineapple eyes. 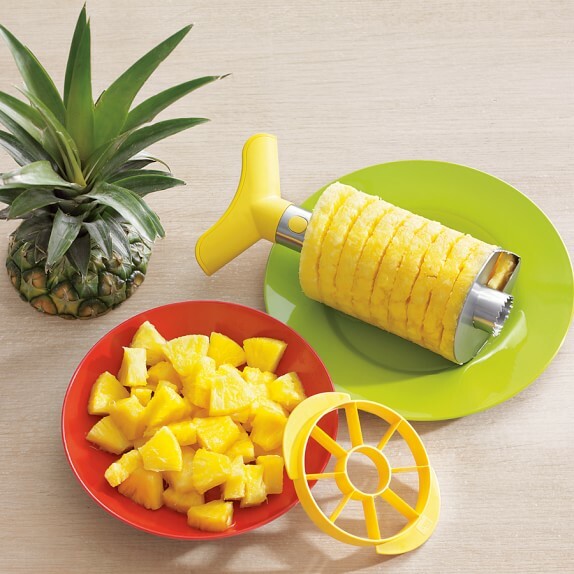 Pretty Prickly Pineapple Corer: The Pretty Prickly Pineapple Corer is a 4P tool that gives you your delicious fruit in seconds. 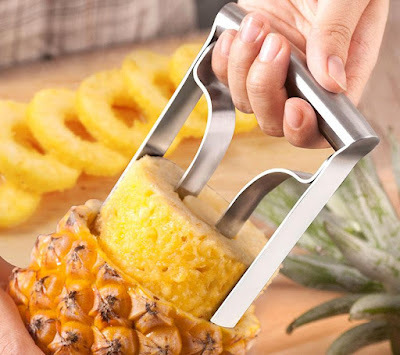 Stainless Steel Pineapple Easy Slicer: The Stainless Steel Pineapple Easy Slicer will peel, core, and slice a fresh pineapple in 30 seconds and gives you perfectly formed rings.